Regardless of your child's age, there is almost certainly an electronic toy that will captivate his or her interest. Even though some of the toys are pricey, you can find a high-quality toy for less than $50 especially if you scour the Web for online deals or hit the clearance racks after the holiday season. These seven options range in price from $40 to $150. The toys on this list were selected for their kid-appeal and overall quality. 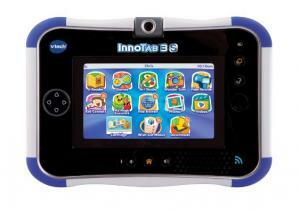 The InnoTab 3S Plus Learning Tablet by VTech has landed on Top 10 lists by Cool Mom Tech, Gizmag, and Dr. Toy. This electronic toy, designed for children ages 3-9, is a tablet complete with a kid-friendly and kid-safe Wi-Fi connection. Children can explore their creative sides with installed photography, art and video programs or expand the capabilities of the tablet with the more than 600 available cartridges. Included in the tablet is a wish list where children can send notifications directly to their parents' email addresses. The tablet costs $40-$60 depending on model and includes a rechargeable power pack. 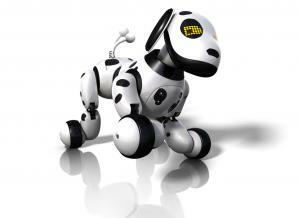 Kidzworld describes the Zoomer robot dog as the 'ultimate family pet' and the more you play with the electronic dog, the more realistic the pet's behavior mirrors a real dog's. The electronic pet responds to voice commands, which means you can teach him a variety of tricks, and the sensors even let him know when you are scratching his belly. Since the more a child plays with the pup the more the pup learns, you can be certain that your child will have a new best friend in no time. Zoomer charges via a USB cable and has a flexible tail, LED eyes that blink and track movement, and his rotational core lets him roll over. Zoomer puppies are designed for children five years and older. They sell for around $90. 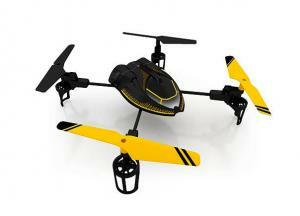 Bring out the spy in your pre-teen or teen with the Sky Viper Camera Drone. Chosen by Toy Insider as one of the Top 12 cool tech toys for children, this high-tech, hobby grade, four-blade remote control copter will give your child the ability to take photos and videos from above. The toy's video capability is impressive as it can take quality footage from as high as 100 feet in the air. Unless already skilled with R/C flying machines it takes a little while to master the craft, but the remote control lets you adjust the flight sensitivity to beginner, intermediate, or advanced. Once the initial basics of flying and changing directions are mastered the operator can practice stunts like forward and backward flips. The drone comes with rechargeable batteries, remote control and four replacement blades (in case of a crash). It sells for about $80. MSN places this doll on their top tech toys list. At first glance, the toy looks like a typical 18-inch tall blonde doll but when Cayla begins to speak, her uniqueness stands out. Cayla is an interactive doll that connects to the Web via an iOS or Android smart-device running the doll's app. The app utilizes voice recognition to respond to what's being said. Cayla is capable of millions of phrases and will even search the internet (from sources deemed age-appropriate) to deliver the correct answers to questions. She can play a number of games and even help your child with homework. The doll costs about $150 and is designed for children ages 3 and up. For a wrist band concept designed to get your child moving, try the LeapBand by LeapFrog. Named one of Dr. Toy's 10 Best Active Toys, this $30 interactive device uses an electronic pet to encourage your child to increase physical activity while letting the child track his or her own progress. The band includes an interactive "pet" - an on-screen animal that encourages children to move around and enjoy doing so. The pet is customizable, and the toy comes with 14 challenges already loaded. Up to 36 other challenges can be added through LeapFrog Connect. Parental controls can be set for quiet times, such as when kids are in school or eating dinner. The LeapBand is recommended for ages four to seven. 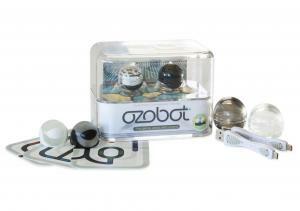 If your child is even slightly interested in coding or computer programming, the Ozobot is a great way to expand on that interest. USA Today named this Pac-Man like robotic game piece one of the top 10 tech toys from the 2014 Toy Fair. The robot glides across a piece of paper or game board and follows intricately created mazes which are designed by your child. A maze is created by using a typical permanent marker to draw the lines and then the robot, which uses a couple of micro-motors and an optical sensor, reacts to the drawing and makes its way through the maze. 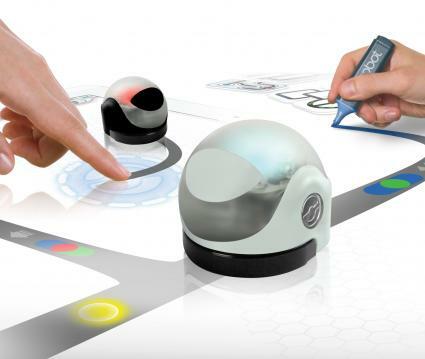 Several apps can also be downloaded to make Ozobot even more entertaining. The toy sells for about $60. 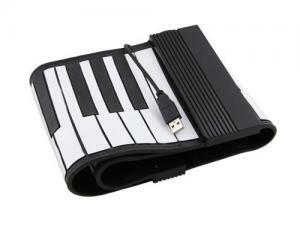 Ranked number three on PC Mag's Top 10 Digital Musical Instruments, the Roll-Up Piano has several things going for it. It requires no batteries, is durable, and allows children to create and record their own music. Since the piano is USB-based, music can be created and uploaded to a computer where it can be further tweaked if desired. The device comes with a learning CD, 100 prerecorded rhythms, eight percussion instruments, and tempo adjustment. The 49-key piano sells for less than $50. 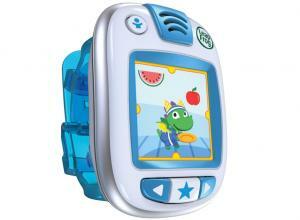 Choosing electronic toys can be difficult for parents because there are so many new items constantly being introduced. This is because the U.S. toy market is huge, currently estimated at $22 billion annually. Youth electronics currently commands about $429 million of those sales. As long as the toy is age-appropriate and fun to play with, your child will quickly pick up on how to use and enjoy it.